This is a dynamite report on the most effective follow-up strategies which were analyzed from 63,256 calls. The report lays the ground work on how to improve contact rates, how speed of follow-up affect results, average number of calls to qualify a lead, etc. 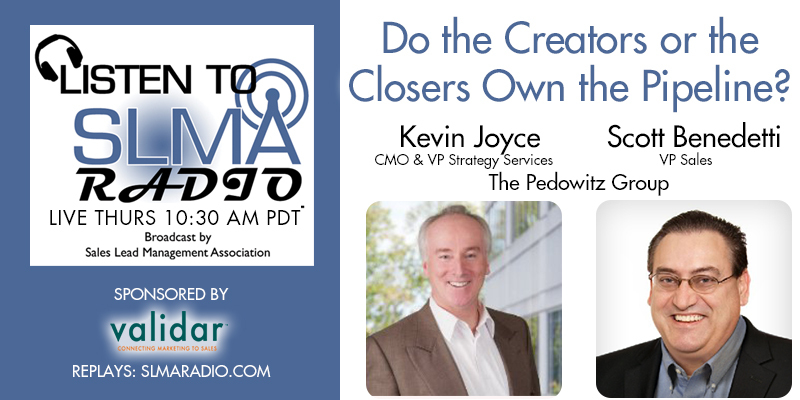 The guest is Adam Bluemner managing editor for Find Account Software. The study is available here. The host his week is Jim Obermayer. 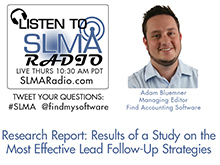 Adam Bluemner is the Managing Editor for Find Accounting Software. Over the last decade Adam has spoken with thousands of companies, helping them achieve success through intelligent software investment. Adam writes extensively on accounting, ERP, and business management software. Better business is possible through better software. It's our core belief and still as true today as it was when we started in 1996. Since then, our free matching service has provided over 200,000 businesses with recommendations on the best software for their needs. Browse our software directory of over 3,500 products in 86 categories.